Ben Folds uses his piano to bridge rock and orchestral music. Ben Folds has enjoyed something of a unique career among rock musicians over the course of the past 20 or so years. 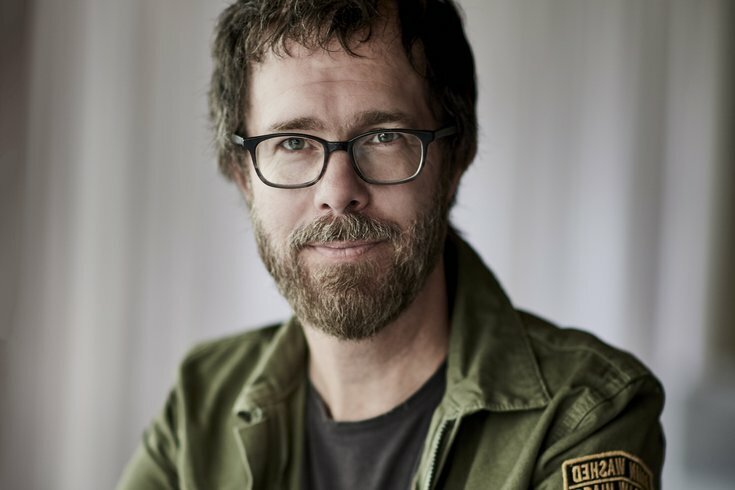 With his band Ben Folds Five and later as a solo artist, Folds pioneered piano-based indie rock, while also continuing as a major attraction for a lengthy period of time. His eclectic career has also taken him beyond music, to acting, and even to writing a book. This year, Folds is doing a series of concerts around the country with famous orchestras, one that will bring him to Verizon Hall for a show with the Philadelphia Orchestra on March 22. Folds played with the orchestra one other time, in 2014. The concert is part of the orchestra's We're HEAR Week, a series of charity events which, according to the orchestra's announcement, "promotes Health, champions music Education, eliminates barriers to Accessing the Orchestra, and maximizes impact through Research." PhillyVoice talked to Folds about his career, his most memorable experiences of performing in Philadelphia over the years, and the time he made an album with William Shatner. Folds actually played with orchestras as a teenager, and had planned on a career doing that, but "I ended up with a rock career, which was my plan B." But even with that rock career, Folds has returned to his orchestral roots in recent years, becoming an artistic advisor to the National Symphony Orchestra in Washington. "One of the main thrusts of what I do down there is working with pop artists [performing with] orchestras, but not using electric instruments," he said. "I love orchestras, and I'm fascinated with how well they worked, by the middle of the 20th century, without adding a bunch of electricity." Folds said that he usually rehearses with the orchestras the night before and the day of. He said he has about 60 of his songs orchestrated. "It's an incredible process, actually, just the library," he said. "They have to get a lot of music on a lot of stands for a lot of players." Folds has been performing in Philadelphia for most of his career, and like many top artists, he feels great appreciation toward WXPN for playing his music at the beginning. He also remembers that he was stuck in Washington, D.C., the day of the 9/11 attacks in 2001, but still made it to Philadelphia for a scheduled gig the following night. "We must be the only band that didn't cancel in the [expletive] country," he said. Folds indeed played the TLA Theater on the night of September 12, which happened to be his 35th birthday. Folds' album "Rockin' The Suburbs," like Jay-Z's "The Blueprint" and Bob Dylan's "Love and Theft," has an official release date of September 11, 2001. Folds is also a fan of Philadelphia's culinary offerings. "Some of the best food in the world," he said. "If I stay there for 3 or 4 days, I can get stocked up on good meals." Folds is a pioneer of using the piano in rock music, in a way that not many artists have managed to replicate, at least not in the same way he has. "We brought the piano to punk clubs," he said. "Piano is a very messy instrument to rock on, and it's not easy to do. The piano is really at its most effective in rock music when it's a ballad. When you try to rock, for a variety of reasons that would take a book to explain, it gets messy." He also praised Elton John's famous live album "11-17-70" as an important moment for piano rock. "It wasn't the way he elected to pursue his career, but he nailed it," he said. Another example of an eclectic thing Folds has done was his work producing, arranging and co-writing "Has Been," the 2004 album recorded by the legendary Star Trek captain William Shatner. It was Shatner's first album since 1968's The Transformed Man. "The whole thing was one good story, really," he said. "I think it's a great album, if I had to choose two things I'm glad I made, that's the other significant album. He did great things on that record, I learned a lot working with Bill." Also on Folds' plate this year is his first-ever book, which comes out in July and is titled “A Dream About Lightning Bugs – A Life of Music and Cheap Lessons." He describes the book as "lessons and ideas on the development of music and art, hung on a trademark of memoir. "Where it diverges from a typical memoir, it's certainly not stories about famous friends, and it's nothing really celebrity about the book. But I found the way I learn music, and music taught me about life in general, was very unique to me." Another thing that's been taking up Folds' time is a series of guest appearances on the FXX sitcom "You're The Worst," which is currently airing its fifth and final season. Folds has been on the show twice, with a third appearance airing soon. "I've done a lot of cameos and things on television before. It's really nice when it's the same team each time," he said. "They know how they'll get the best out of me. It's not a skill that a musician necessarily cultivates. "They're just really generous with me, and really helpful. It's a no-brainer to me when they asked, because it's a fun experience, I know I'm in good hands, and I know they're going to do something [expletive] up." Folds got his trio, Ben Folds Five, back together in 2012. While he didn't rule out another reunion, his answer was "probably not, but you never know." Ben Folds plays Verizon Hall on March 22 at 8 p.m. Order tickets here.